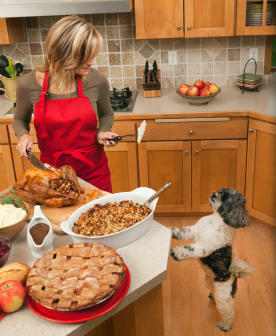 How Much Do You Spoil Your Pet? You Are Not Alone! Check out this article from the Huffington Post! With the holidays approaching, many pet owners are faced with leaving their pets in the care of others while they travel. 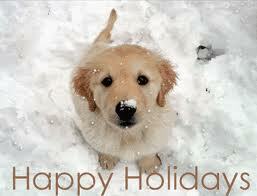 The holidays are a busy time for travel and it is becoming more common for people to travel with their pets. There are many things to consider when making your plans so that travel is safe and relatively stress free. When I was a practicing veterinarian, there were certain things that I knew would always be true. Cats brought from the local junkyard would always try and escape, the full moon would bring all sorts of unusual emergencies to the hospital (think dogs on marijuana), and that we could never be closed on the Friday after Thanksgiving because there would be at least one dog in the hospital suffering from pancreatitis. 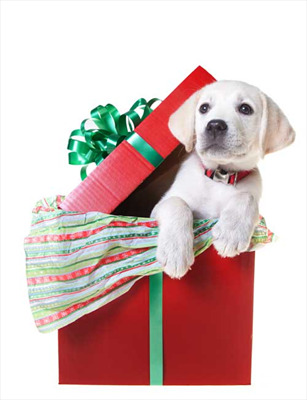 Giving a pet as a gift is fine, as long as proper preparations are made before the gift giving occasion. Buying a puppy or kitten for your own child is one thing, but never give a living creature to someone else’s child unless you’ve discussed it with the adult who will likely be caring for (and paying for) that new family member! Recent advances in veterinary medicine have brought treatments to pets that rival those that people receive. With these advances, the necessity for and occurrence of blood and blood product transfusions has become more common. There are many different reasons that pets may require or benefit from a blood transfusion. Some of these reasons are the same as the reasons that people may need a transfusion while others are different.